Welcome to the Paperless Business Era: Is Yours on Board? 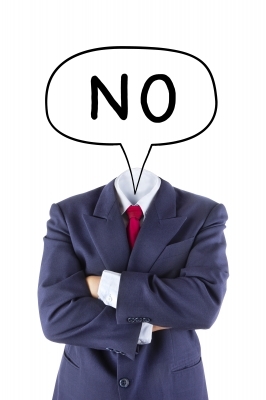 Here’s How/Why Your Business Loses When Passing up on Paperless. In an age where computers have become our go-to for even the simplest of tasks, society has become acquainted with the idea of a paperless lifestyle. Technology has now made it easy for us to abandon tasks that now seem unnecessary and time consuming–such as hoarding documents–because anything and everything we need can be accessed with just a click. Yet, the U.S is still responsible for the 400 million tons of paper produced each year. 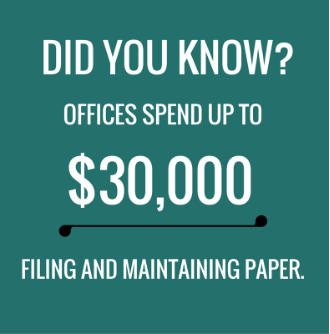 This transition is one that many businesses have already taken in with open arms, since the benefits of eliminating paper from the workplace can prove to be economical in the long-run. However, there are still those who aren’t completely sold on the idea of transitioning their company records to a digital platform. With so many benefits at our fingertips, why are businesses even entertaining the idea of continuing to maintain a physical file storage? Here’s why. Many managers and executives have reservations when it comes to shifting their businesses to a paperless platform. This is because many companies prefer original documents as opposed to their scanned counterparts. Essentially, it’s hard for them to imagine a world where putting our trust in digital actually makes our jobs easier. The solution? Take it slow. To ease your transition to scanned documents, you can make small changes around the office (our previous blog outlines how law firms can handle this transition with minimal hassle). There are federal and state retention regulations that require certain documents to be retained for a specified length of time. Documents, such as employment tax records, should be kept for a minimum of 4 years, while the IRS has its own period of limitations for records. What many businesses don’t know is that these documents can be just as useful in electronic form. They’re essentially holding onto a process that could’ve been improved while still maintaining legal compliance. You Might Like: Document Retention Guidelines: Should You Save It or Shred It? No matter what type of business you run, efficiency should always a priority when looking to achieve growth. Want to Join the Movement? We Can Help. Again, you may not be able to achieve a paperless business overnight. We understand that it may not be easy to find time for this transition in the midst of maintaining an effective workflow. For this reason, hiring a document scanning professional can eliminate the stress involved with making this drastic change. Document Scanning Services LLC provides scanning services in Ft.Lauderdale, FL and nationwide to a variety of industries. If you want to start reaping the benefits of this modern-day movement, contact us today at 954-271-0118 for a free scanning quote.